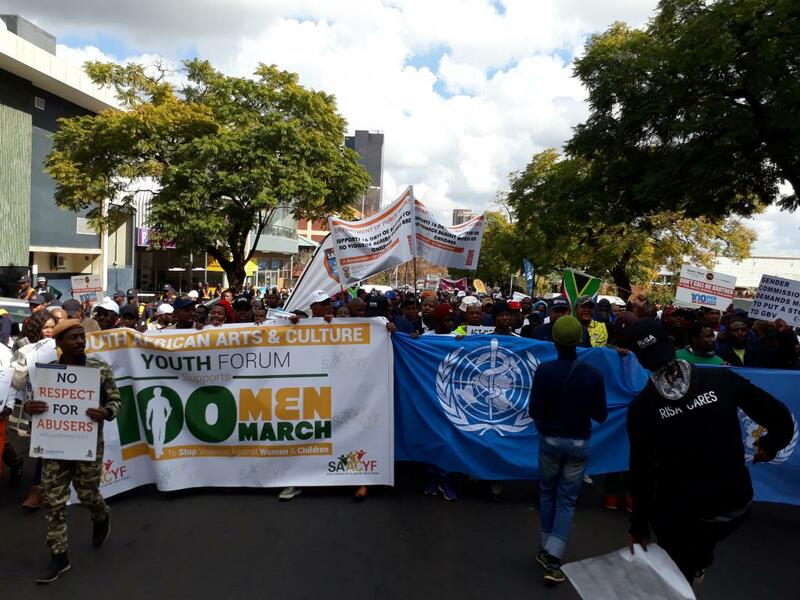 As part of the centenary celebrations of former President Nelson Mandela and Mama Albertina Sisulu, WHO joined government, other UN agencies and various social partners on 10 July 2018 on a 100 Men March through the Pretoria streets of South Africa to boldly declare that violence against women and children will not be tolerated in respective environment or communities. The march is estimated to have drew 100,00 or more men from various sectors of society, such as government, business, labour, faith-based organisations, non-profit and media organisations. Various Government departments, including the police, committed themselves to addressing violence against women and children and be part of the solution by signing a pledge to end all forms of violence against women and children.